Like many of you, I’ve got my favorite authors. Some of them even release books on a regular, yearly basis, which always gives me something to look forward to. Others seem to come out with a new book every few years. Most of my anticipated releases for this year are not single offerings, but the latest in that author’s series. So let’s get right to it, shall we? For once, I have actually sorted this top ten list – in order of expected publication. I’ve added cover art where I can, but for some books this has not been announced yet. I started reading the Jack Reacher books probably 10 years ago. I’ve read them all and look forward to the new fall release each year. This is book #19 in the series. 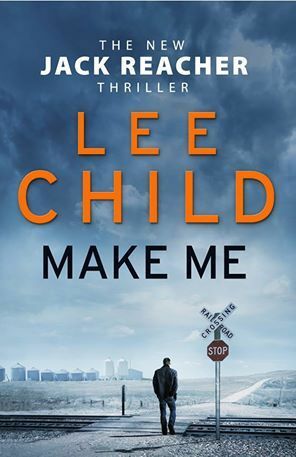 For a while, the newer Reacher’s weren’t as good as the beginning of the series, but the last few novels have been really good. This is Jenny Lawson’s second book. She is so funny, and yet her books tackle serious subject matter. As soon as Jenny announced this book on her site, I preordered it. I’m currently reading The Silkworm, working on it in between ARC books I’ve received. I really like Cormoran Strike and am looking forward to the third book in the series. I read the first in this trilogy, Timebound, and I loved it. It’s got time travel that results in alternate timelines, and is so interesting. (I love time travel!) I started the second book but had to put it aside to get through some ARCs and I haven’t picked it back up yet. I may just wait until this third and final book comes out and then read them back-to-back. I’m a few behind on the Inspector Lynley books, but that didn’t stop me from preordering this latest Lynley novel. This series used to be my number one favorite, must read until 2005’s With No One as Witness. She killed off a major character, and I (like some of the characters in the series) have never been the same since. I currently have two Lynley’s on my shelf to read before I get to this new one. I’m hoping to fall back in love with these books, as I really used to enjoy them so much. She just broke my heart with that book. I recently read two collections of British Crime short stories edited by Martin Edwards, Resorting to Murder: Holiday Mysteries and Capital Crimes: London Mysteries. I love both the Christmas holidays and British mysteries. 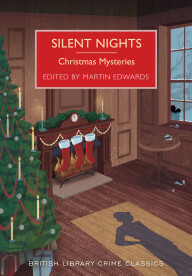 You can guess that I am looking forward to reading this collection of mysteries centered around Christmas. In 2005, I read The Lincoln Lawyer, and I’ve had a love affair with Michael Connelly ever since. I’ve read all of his Bosch novels, all of his Mickey Haller novels, and most of his stand alones. 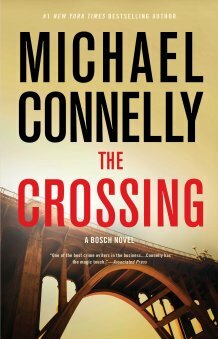 I love these books where he combines the worlds of (LAPD detective) Bosch and his half-brother (defense laywer) Haller. Here’s another one where I’m behind on the series. I’ve only read Cinder. Great book, I just haven’t had time to keep on reading this series. I’m adding Winter to this list because I am looking forward to reading it (once I finish Scarlet and Cress). 🙂 I’ve got until November, so hopefully I can get caught up. I stumbled across this book purely by accident, through someone’s book blog. (Forgive me, but I can’t remember whose it was!) This book sounds right up my alley – I love anything to do with time travel. I don’t buy many books anymore (I borrow from the library instead), but thanks to the time travel aspect, this is one of the few books I’ve preordered. What books are you looking forward to? Are we eagerly awaiting the same book? What book did I miss that I should be looking forward to? Comment away, and link back to your own top ten list if you’ve got one. 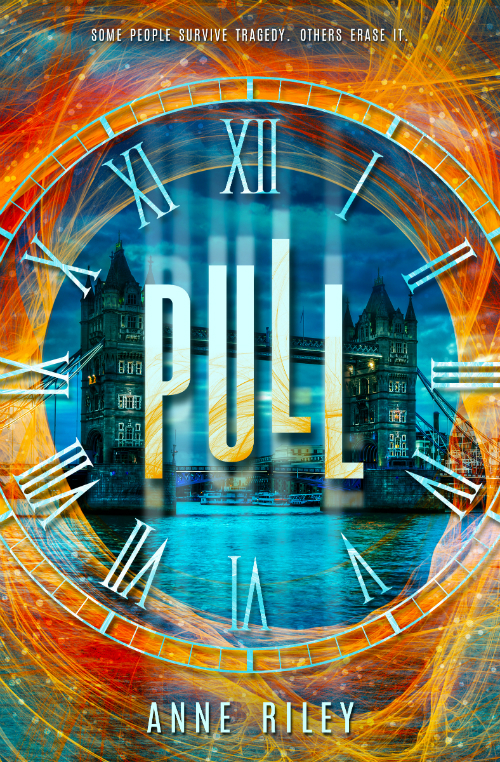 I haven’t seen Pull until now, but it looks like such an interesting read! Thanks for sharing! Yes, It sounds like such a great premise! We share Riordan and Meyer. Pull sounds awesome and I’m looking forward to Furiously Happy. I really hope Annabeth and Percy are in the new series! That’s a good find with Pull! I haven’t read a solid time travel in a while so I’ll definitely have to add that to the list of considerations. Yeah I can’t remember where I saw it but it sounds fantastic. I love books with time travel. Ooh, time travel books – must check those out! Have you read the Time at the Top books? They were some of my favorites that I read to my kids last year! No, I haven’t read those. Thanks! I will check them out. So many people have listed Winter that I cannot even imagine what release day will be like. I am glad to see another Jenny Lawson fan. I recommended her last book to a friend who tried to read it and only got to Chapter 3…yes we are still friends, but she doesn’t know what she missed! Oh I love Jenny Lawson! She is so funny, and so honest about everything. I am really looking forward to her new book. I absolutely love Michael Connelly’s books! It was The Last Coyote which hooked me. I was out camping one summer and one of the other campers was a big reader also. We swapped books that we’d already finished and that was my introduction to Connelly. I knew as soon as I finished The Last Coyote that I’d have to read the entire series from the beginning! 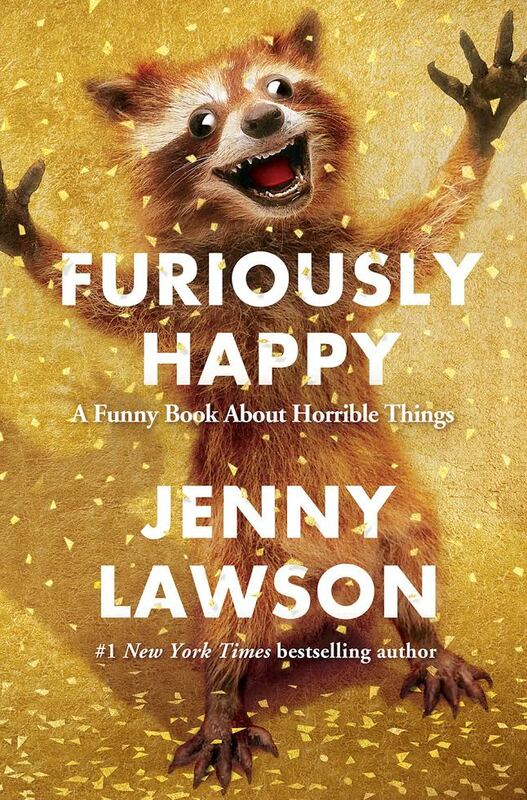 Haha the cover of Furiously Happy reminded me of Guardians of the Galaxy because of Rocket. Anyway, great list. I can’t wait for Magnus Chase and I hope the you enjoy Scarlet, Cress (my favorite so far), and then Winter needs to come out already!! Yes to the new Riordan- I’ve never read him but I’m excited about the Norse angle of the new ones. I probably should read the Greek ones first- I’ve heard so many good things. The Pull could be interesting- I like time travel stories too. Furiously Happy looks like one I need to check out – the cover makes me chuckle! 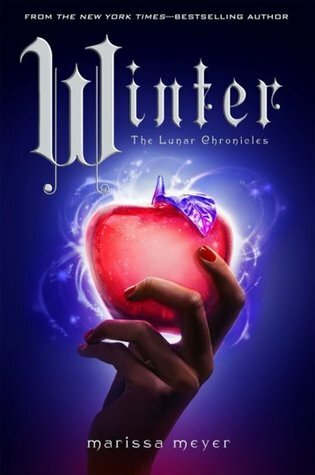 Also I need to read the Lunar Chronicles series – I feel so behind on them – Great list! I’m not sure whether I’m going to read Rick Riordan’s new Norse series or not, I was interested in Percy Jackson because it was Greek mythology, and I’m not sure whether I’d be interested in Norse mythology or not. I might give it a try, I’ll probably make up my mind closer to October. I hope you get a chance to pick up Scarlet and Cress soon. Scarlet is my personal favorite so far in the series. When you realize you forgot Magnus Chase… EPIC FAIL. But, um, I love the PJ books and am glad to hear it’s an adventure you and your boys share. And that raccoon cover reminds me of Rocket (Guardians of the Galaxy). 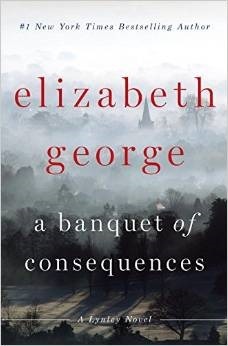 The first Elizabeth George mystery is on my TBR for the Book Battle. I’m so excited to read it! How is The Silkworm? I read the first Strike novel and really enjoyed it. So far really enjoying The Silkworm. I need to get through a few other books and then I can dedicate more time to it. I love you gif usage! Perfection! Great list!! I knew I could count on you for Jenny Lawson and I hadn’t heard of the mystery anthology. I’m reading one now that was edited by Martin Edwards – Resorting to Murder – and really enjoying it. The Christmas one will definitely be on my list. I think I just did the dance of joy at the hearing there is a new Lynley and Havers novel headed our way! I’m not sure about the next Reacher novel. Oh yes, I will read it. But the last couple haven’t done much for me. I am hoping to get over the hump and back to my love of Lynley! Two for me to read before the new one. For me, the last few Reacher novels (Starting with 61 hours) have been much better than the middle of the series. I’m excited for a book called The Recipient by an Australian author named Dean Mayes which is due out in October. I will have to look into that one, I haven’t heard of it. Thanks for the recommendation!